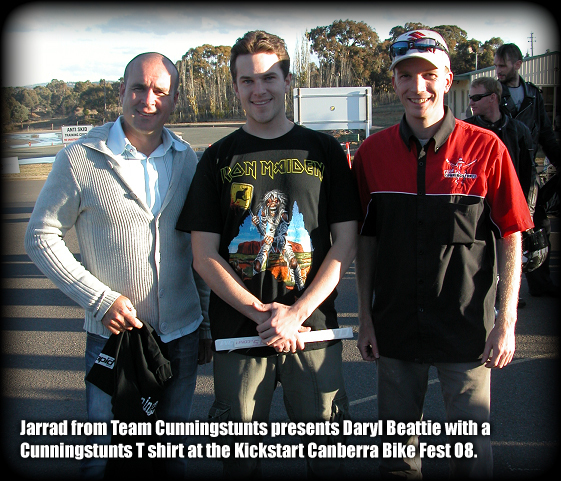 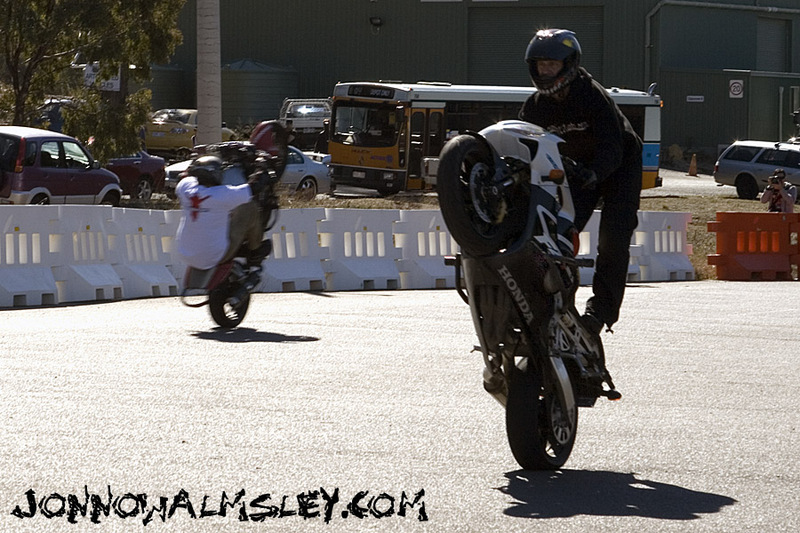 From Left to Right: MOTO GP Star, Daryl Beattie | Fan & Friend, Dave Todd | Cunningstunts Founding Member, Jarrad Houghton. 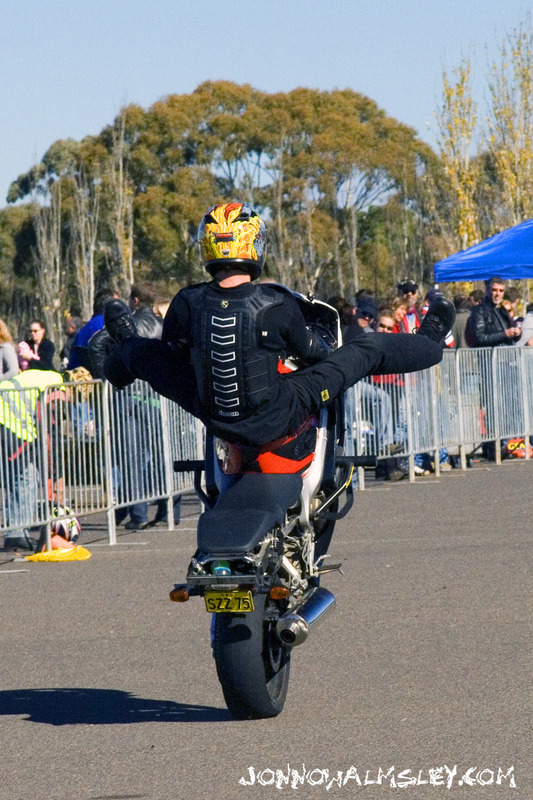 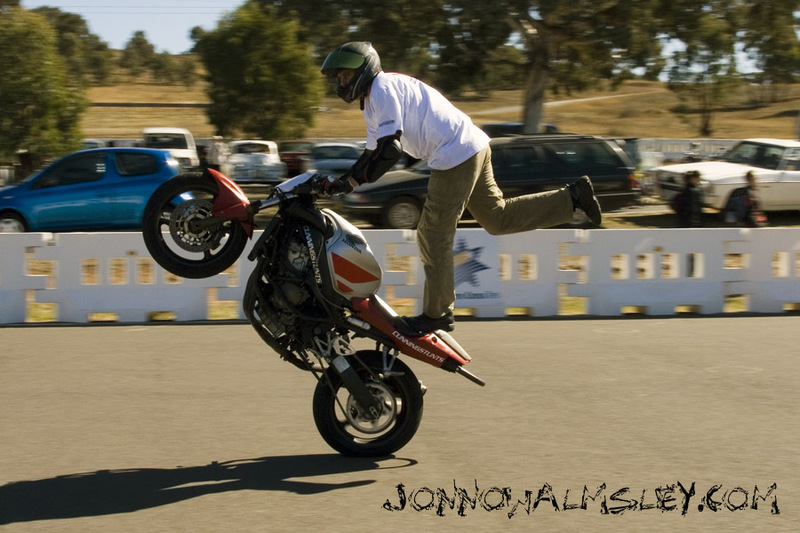 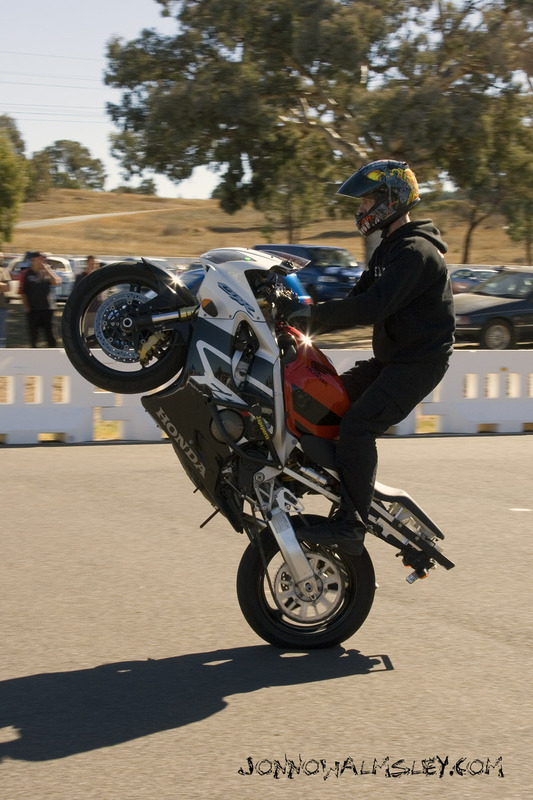 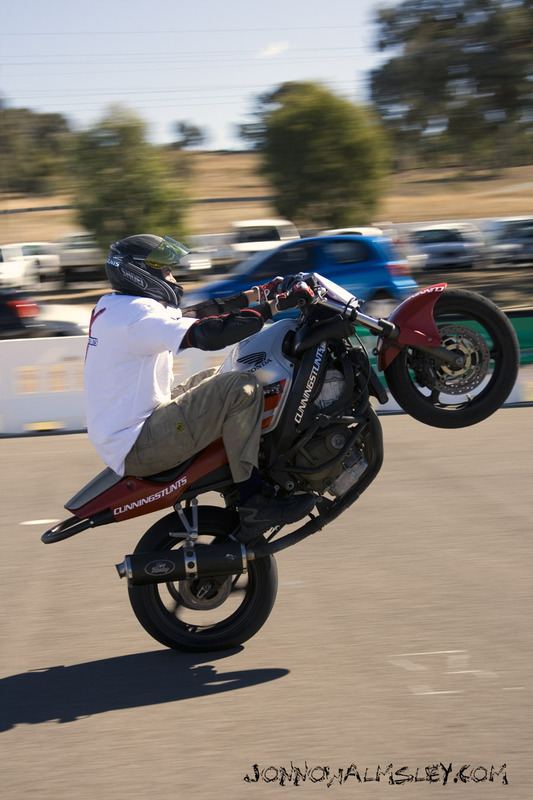 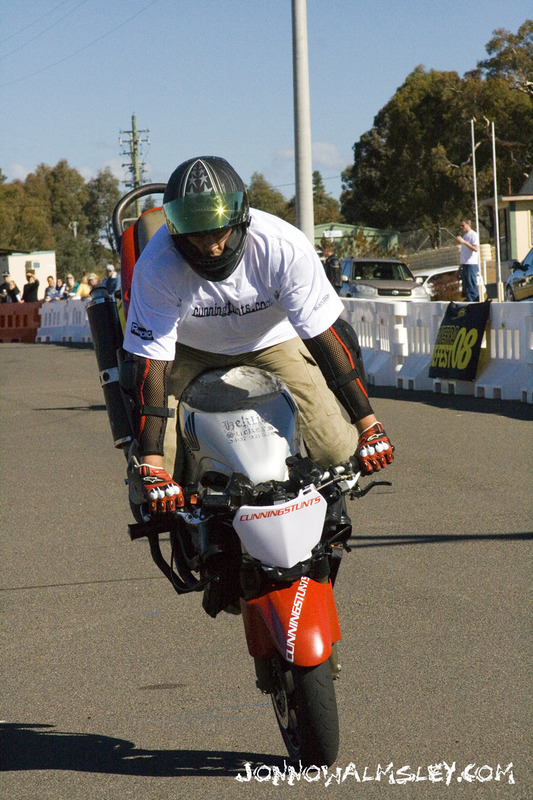 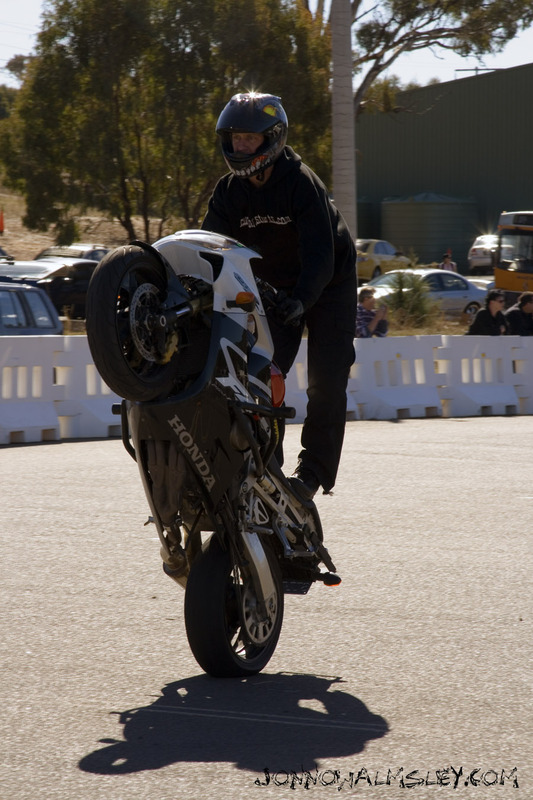 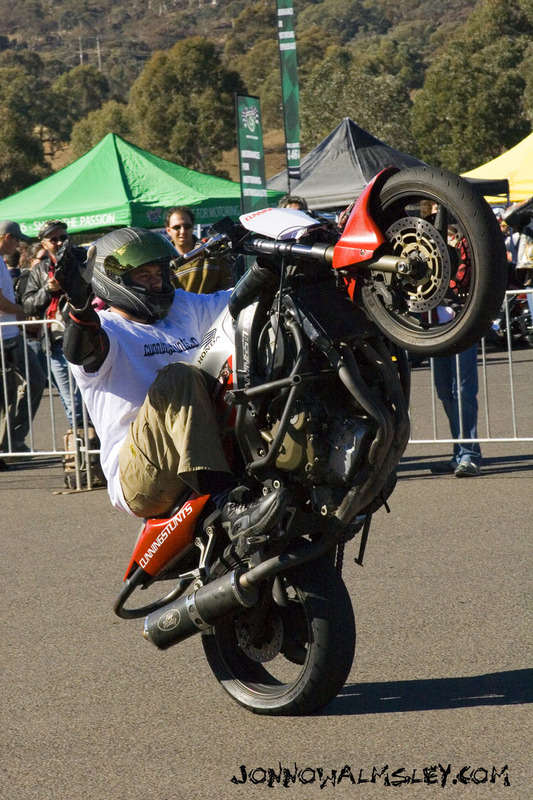 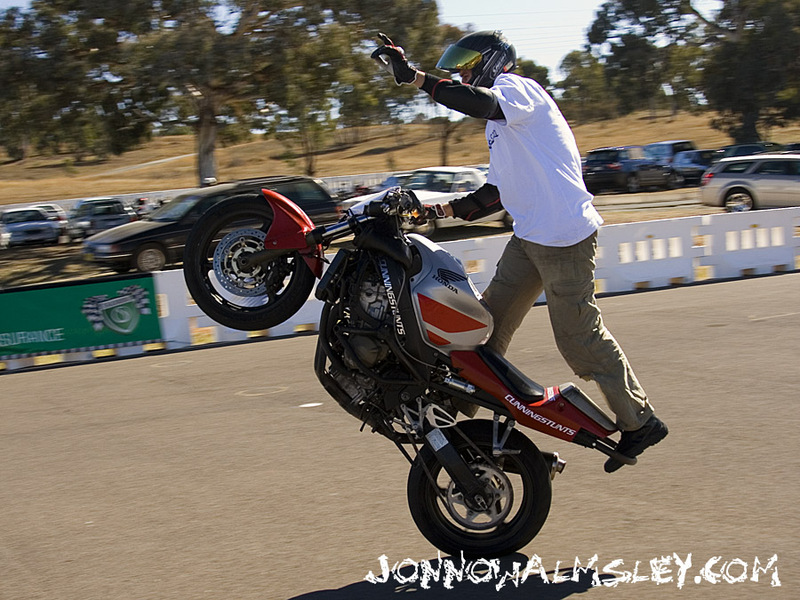 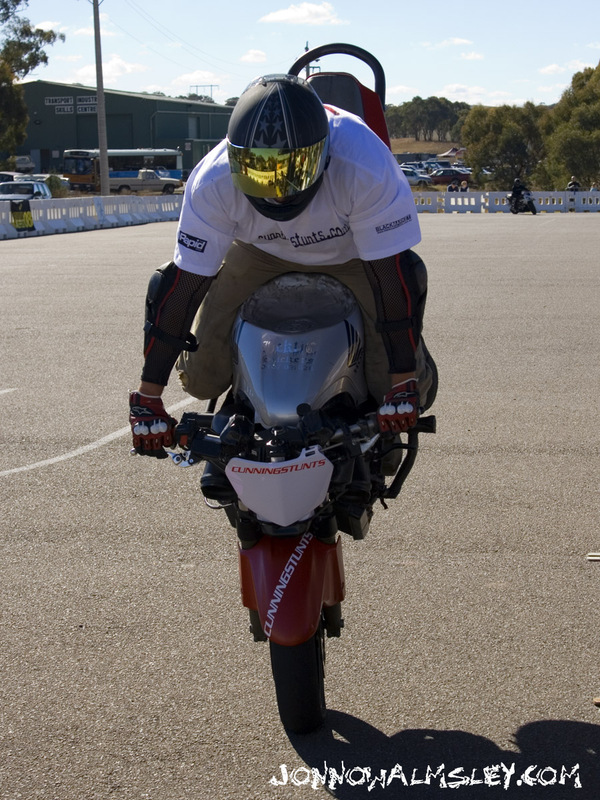 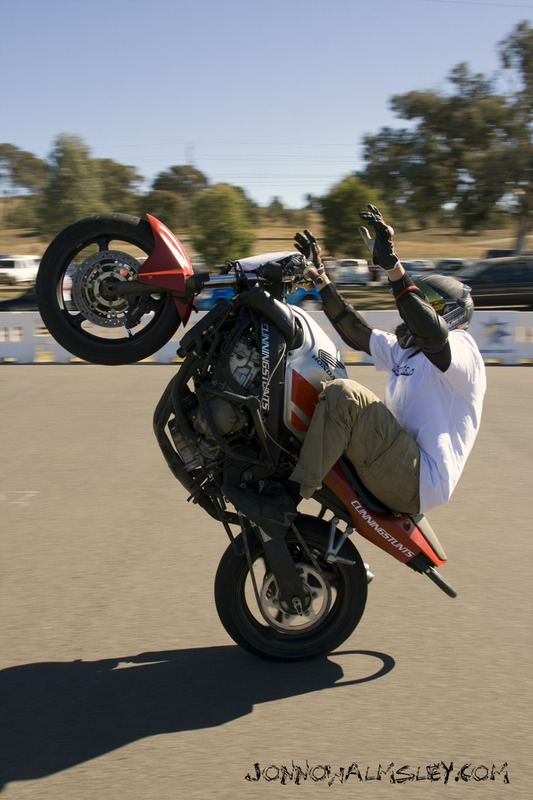 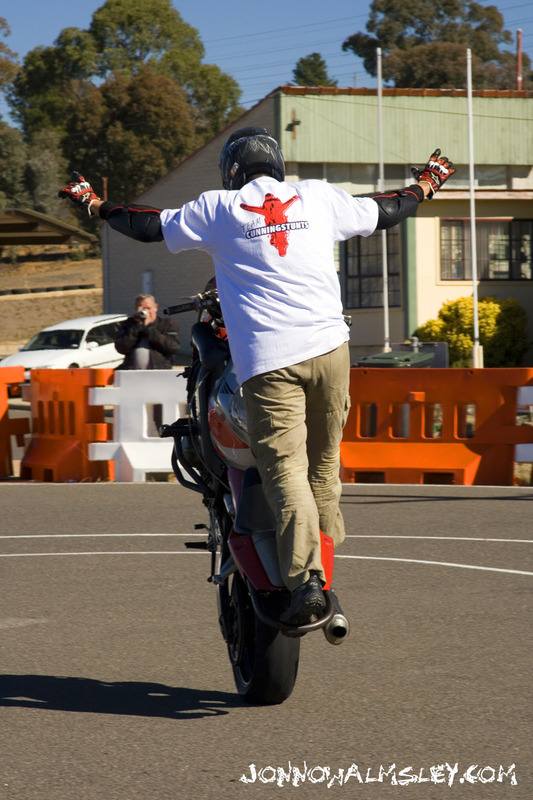 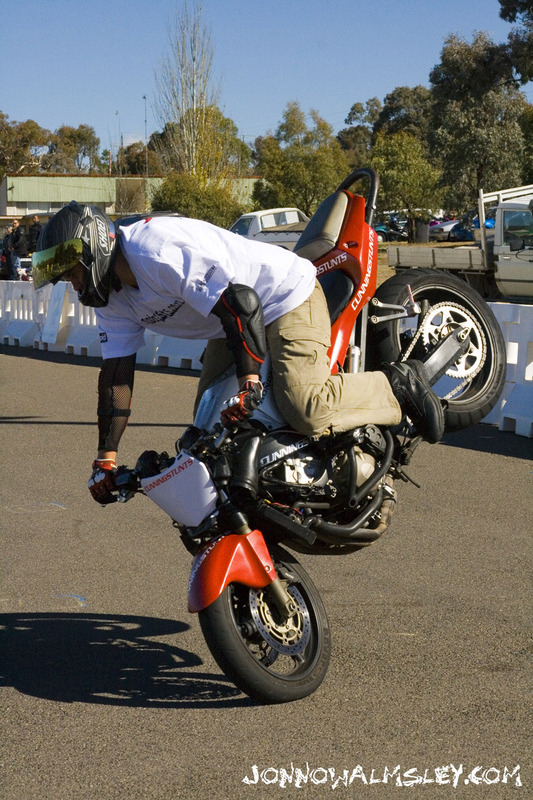 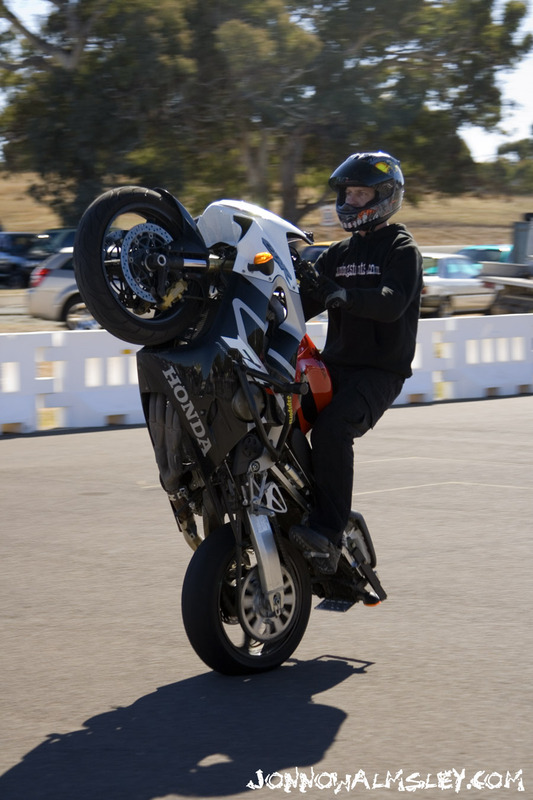 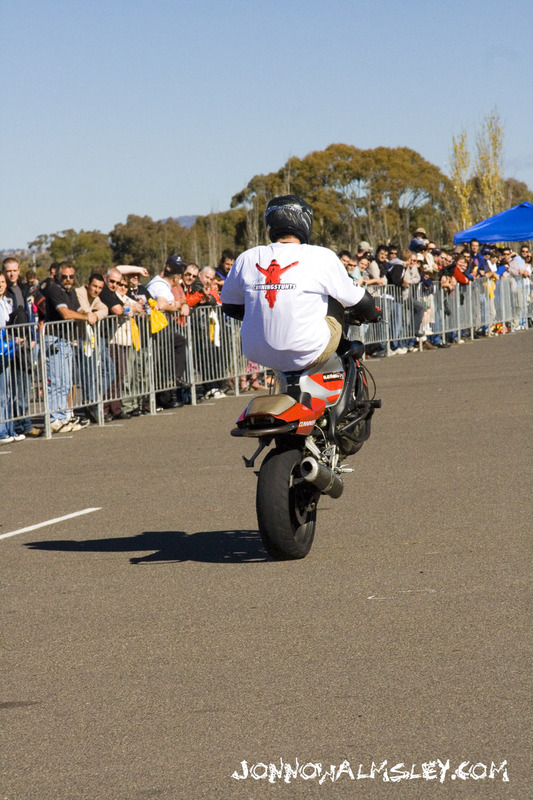 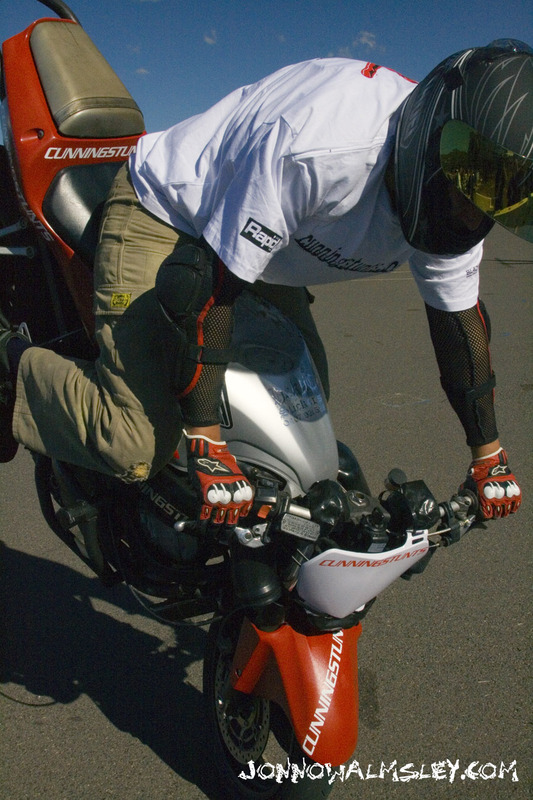 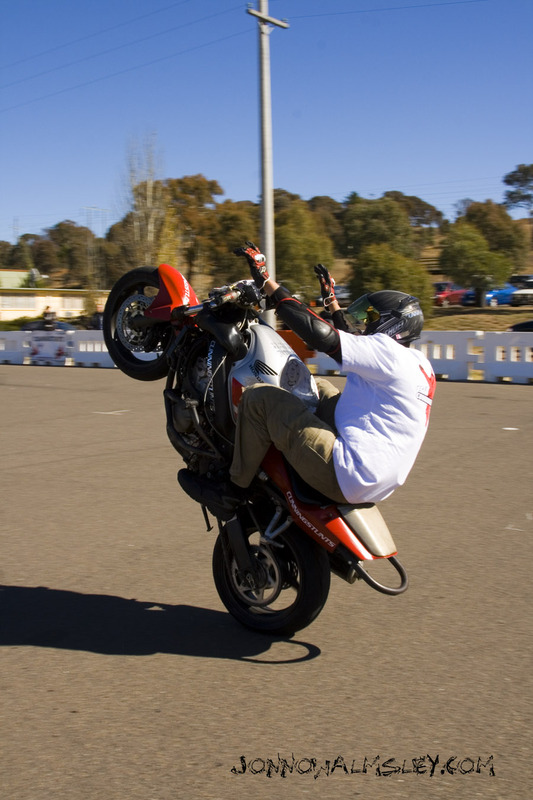 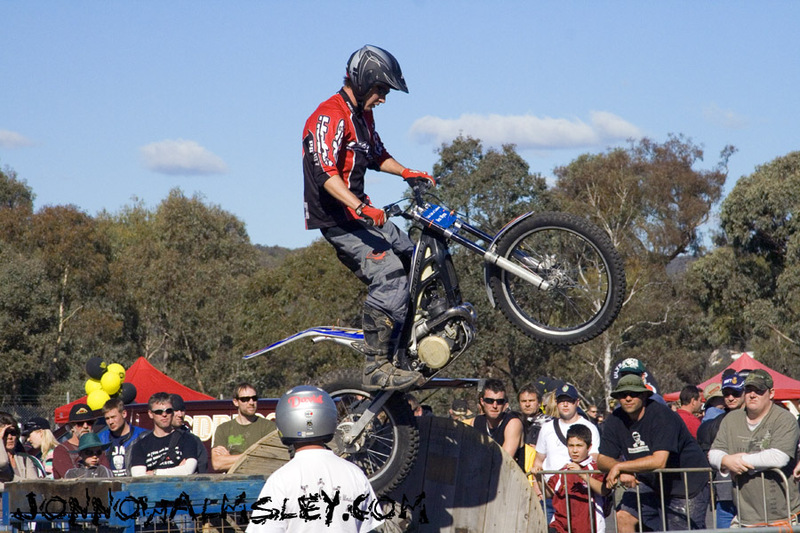 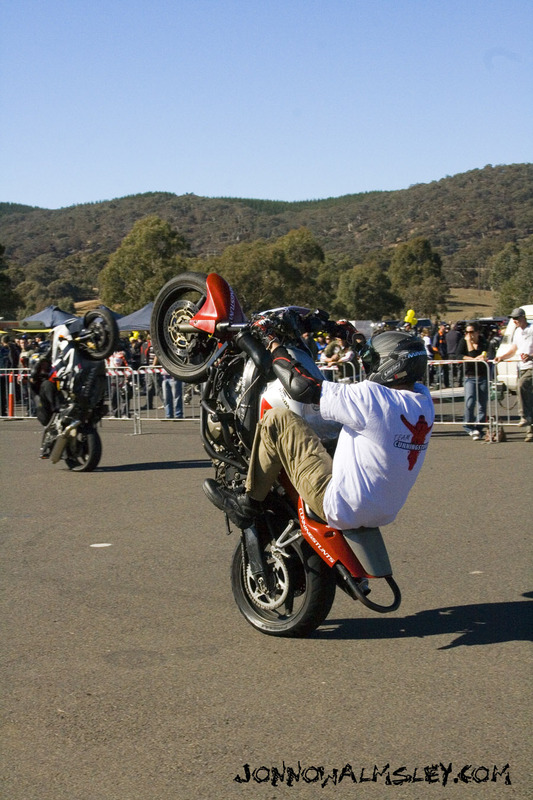 The first ever Kickstart Canberra Bikefest was held at Sutton Driver Training Centre on Saturday May 3rd, 2008 which pulled approximately 7,000 people throughout the day. 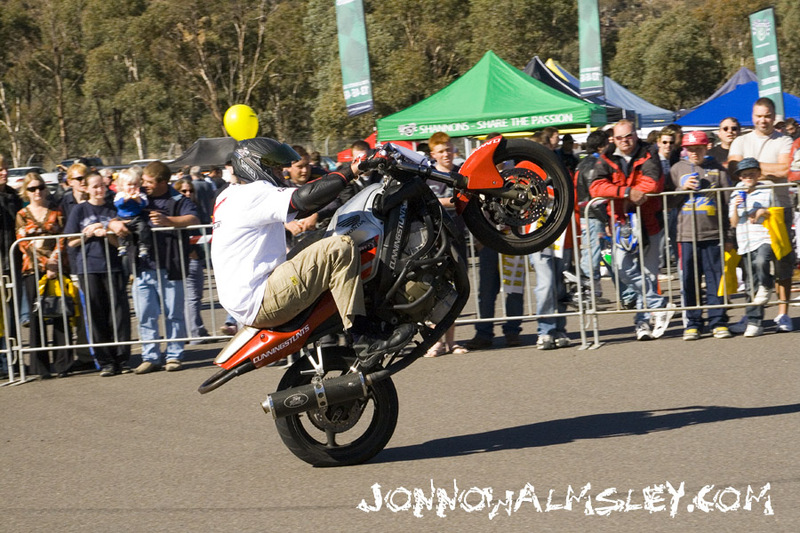 Bender and Ned put on a great display for the crowd pulling no handed wheelies, super controlled stoppies, twelve o'clock wheelies & high chair wheelies. 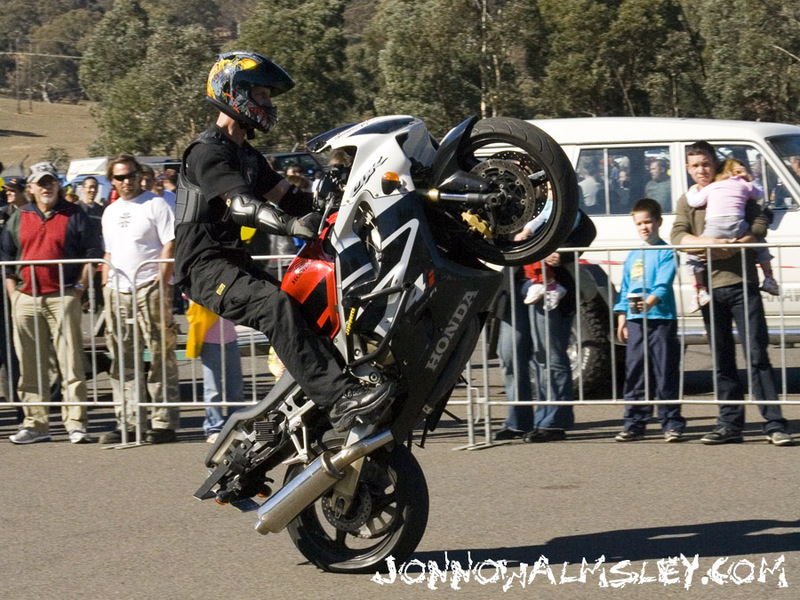 These fantastic photos supplied by Jonno Walmsley Photography.